Back again with me Lina!! How are you? I hope you are energized and eat healthily! Anyway, today I would like to talk about different in CV. CV is Curriculum Vitae, that piece of information about you, your contact details, your address, your educations, hobby, achievement, work experience, skills and lastly… your reference and written in 1 to 2 pages. I have made quite a few of CV too, attending an additional class by the uni regarding employment insight. Currently looking for job too. So yeah, I kind of know based on what I got from the class and internet. Anyway, there are 3 kind of CV and I will tell you what it usually use. Usually this kind of CV tend to be for people looking for part time jobs or work with more skill intensive role. It still contain the original data like your contact numbers, address, etc. , but the placement is what makes it different. I made this kind of CV when I was in bachelor degree to enter employment market as fresh graduate. Usually, part time job look more toward the skill than the education you have. So, this kind of CV is more suitable. This kind of CV also useful for fresh graduate who never worked before. Without working experience, you do not know what to write for the role pr the working skill you need to put, is it not? Thus, to compensate that lack of experience, you can show your skill that you gain in University or your previous education. Like, you always be on time when you need to submit your school work, can be considered as time management, or you did school work with your friends and you achieve good score can be considered as team work. There are many aspect within what you do in school or in uni that you can put as your skill. Employer usually understand and not expect too much of work experience from fresh graduate due to… you are a student. You are expected to study and not work. If you do work, it is a plus for you. But do take some charity activities/works in your local charity shop or something. Little work experience like that could help you enrich your CV! As the name stated, this is for entry level or for fresh graduates or for those who have done their study and just entering the job market. It is called Chronological due to the nature of listing your education history fourth after your personal statement. It need to be written chronologically, from the recent thing to the oldest, be it work experiences or education. Based on what I got from my employment class in the uni, fresh graduate tend to use this as it shows your education and your work experience (if any) in the first page. Employer will take note of whatever you wrote in the first page of every CV, especially this kind of CV. This will emphasize more of what you do, what skill you may develop through out your employment period within the company you work in and, will easily know your capability. Notice within the work experience section you need to list your duty within the job you do? It is as I have said before. 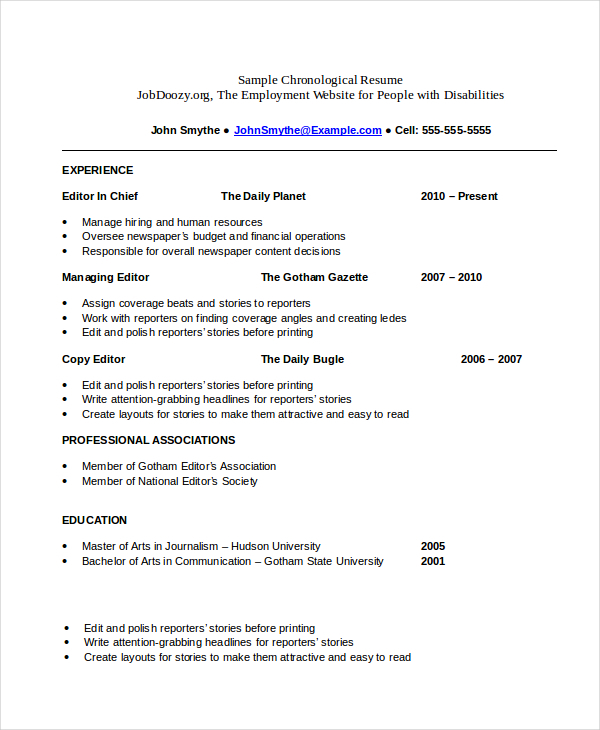 You do not need to write down any skill whatsoever in this kind of CV, because your duty will emphasize your skill more. Same goes with education. For education, I would suggest to list your dissertation tittle too as it can show employer what you understand of certain aspect of employment and your research topic may become your uniqueness to stand up from all the candidates out there. 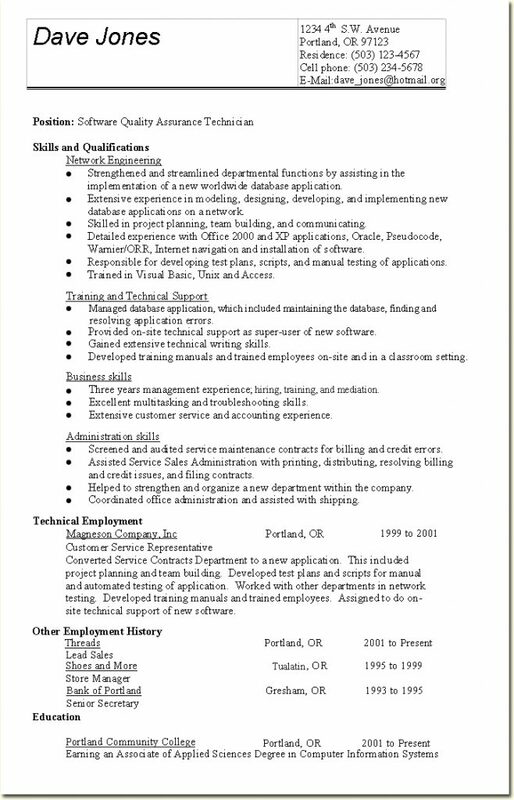 I never use this kind of CV previously but according to https://www.interview-skills.co.uk/free-information/successful-cv-writing/different-types-of-cvs ,this kind of CV will be a bit longer than the first two CV I told you. I do not recommend this to be honest, because you will be competing with many people to get one of the role you want to get. The person who will hire you will also get a lot of CV and that’s not only from you. Plus, they are racing with time as they need to make decision to either make you move forward to the next phase or drop you down. Thus, they usually skim read your first page and search what makes you unique among all of those candidates. Searching for your unique trait from the first page can be tricky for them if you put the interesting part on the second page. So, make the employer’s burden a little bit lighter and create a good CV and put the interesting part (Work experience, education/qualifications, skills or professional membership like CIPD or MBA association or anything really) on the front. That way, employer will be easier to look how good you are and pass you to next phase. You are selected and the employer does not have annoyed time to look something. It is a little bit long and sorry for that. Thank you for reading and I hope you still keep in tune!! Work Agency helps too you know?